The London Universities Maritime Law and Policy Research Group (LUMLP) is a non-profit making collaborative network of London academic institutions with research interests in Maritime Law and Policy. We discuss, disseminate and develop research in Maritime Law and Policy. LUMLP members are drawn from a wide range of academic and research institutions, professional groups, commercial organisations and individuals sharing a common interest in maritime law and policy. Promote high standards in maritime law and policy research. LUMLP membership is open to all who have an interest in maritime law and policy research, training and development. 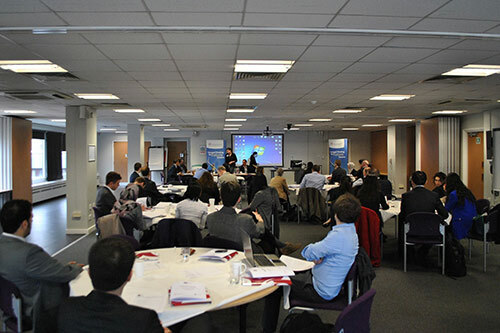 The Group is administered by the City Law School with active participation from researchers and research students from institutions outside and within London, including, the University of Southampton, the University of Greenwich, the University of Gothenburg, Erasmus University, Bangor University, the German American Maritime Institute, University of Bologna, Swansea University, and others. You are very welcome to join our Facebook group where you can read about our latest events, activities and discussions. Professor Jason Chuah is Professor of Commercial and Maritime Law and Head of Academic Law at the City Law School, City, University of London. He has held scholarships from Barclays Bank and the UK Overseas Development Authority at Cambridge University. He also has a Certificate in International Export with Distinction from the Institute of Export (UK). He has authored several key academic and professional books including the widely acclaimed "Law of International Trade" (Sweet & Maxwell) and well over 200 articles in reputable law journals. His works have been cited by courts and institutions in the UK, US and EU, including the EU Court of Justice. He is Editor of several peer reviewed journals and periodicals, including the Journal of International Maritime Law. He has also been nominated several times by his students for the Oxford University Press Law Teacher of the Year Award. Director, China Maritime Centre, Southampton Solent University. 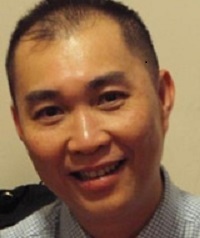 Having studied in the UK (PhD, Bristol), the US (MSc, Connecticut) and China (MA & BA, Henan), Dr Zhao is an established maritime sociologist with an interest in maritime policy especially policies concerning human factors in shipping and fisheries, in particular on issues concerning gender and China. Her research covers seafarers’ labour market, their welfare and work and living conditions, employment policy and practice for women seafarers in commercial shipping, women’s participation in fisheries in European and Chinese coastal communities. She was formerly deputy director of the Greenwich Maritime Institute, University of Greenwich and deputy director of the Seafarers International Research Centre, Cardiff University. Susan Hawker is an Associate Professor on the London Law Programme of the University of Notre Dame (Indiana, US), and visiting lecturer at Cass Business School (City University), at the United Kingdom Sailing Academy (Isle of Wight) and at HST Akademie (Hamburg). She also teaches for the Institute of Chartered Shipbrokers' qualifying examinations, and serves as an examiner for the Grain and Feed Trade Association. She has been speaking regularly at both trade and academic seminars and events for some 20 years. 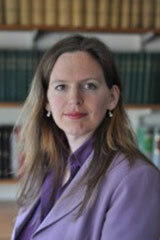 She is a contributing author to Furmston and Chuah, Commercial Law (Pearson). 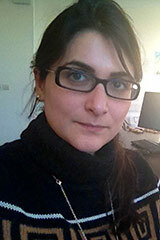 Johanna is the Lloyd's List Research Fellow in Maritime and Commercial Law at the University of Southampton. After completing service as a tingsnotarie (Junior Judge) in her native Sweden, Johanna specialised in law reform, spending several years as a legal advisor with the United Nations International Drug Control Programme and with the Office of the High Representative in Bosnia and Herzegovina. She has been with the University of Southampton since 2004, initially with the Institute of Maritime Law and since 2006 with the Law School as Lloyd's List Research Fellow in Maritime and Commercial Law. She is the editor of several publications and has also published books on arbitration and insurance law in collaboration with Professor Rob Merkin. Her publications have been cited by the courts in Singapore and Australia and by the Law Commissions of England and Wales and Scotland. She received the Vice-Chancellor's Award for Excellence in Teaching in 2009 and the Vice Chancellor's Award in 2011. Julia joined Erasmus University Rotterdam, where she is also the Director of the LLM Commercial and Company law, after finishing her PhD in maritime law at City, University of London. She is involved in numerous academic activities, being a board member of the German American Institute and one of the executive editors of the International Transport Law Review. She regularly speaks in academic and industry conferences, having published articles in several renowned academics journals. Prion from moving to Europe, Julia practised law for a few years in Brazil, dealing with international clients such as Citibank, Vestfrost, Amway, BNL, and HSBC. As a keen speaker, Julia is a regular speaker at conferences and seminars. She has also had her papers published in academic journals. She also teaches part time at the University of Westminster and the City Law School.